Here’s the good news: Hospitalists’ total compensation growth continues to outpace inflation, the U.S. economy and the salaries of most other physicians. According to the 2011 Today’s Hospitalist Compensation & Career Survey, the national mean adult hospitalist salary hit nearly $230,000, a rise of 5.88% over last year’s mean compensation. Hospitalists in some areas of the country “namely the South and Midwest “reported even greater gains, as did both pediatric and academic hospitalists. For hospitalists, that healthy jump means that the slowdown in compensation growth seen in last year’s survey, which found compensation growing less than 2% between 2009-10, appears to be over. (The 2008-09 increase, by comparison, was 7%.) 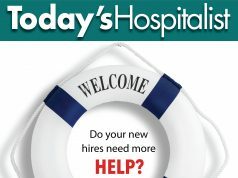 And according to analysts, pay for hospitalist jobs may still not have hit its peak. Despite predictions that hospitalist salaries will soon plateau, it appears that the supply-and-demand realities that favor hospitalists continue to trump the economic pressures on payers, hospitals and patients. What kind of strings? In exchange for higher income, the tradeoff for hospitalists in many parts of the country is higher productivity or new quality targets. And along with looming changes in the form of health care reform and possible Medicare cuts, hospitalists (and the income growth they’re enjoying) may soon face another challenge: pushback from other members of hospital medical staff. In exchange for continued rising pay, experts warn that hospitalists are going to have to work harder and make an even stronger case for how much they’re worth. Physicians should also expect payers “from public and private insurers to hospitals “to demand that fewer earnings be guaranteed and that more income be placed at risk to encourage better productivity and quality. Except in communities where recruiting is a particularly hard sell, consultants say that hospitalists shouldn’t expect continued compensation increases without some strings attached. As evidence of that trend, slightly fewer hospitalists in 2011 reported being paid on a 100% salary basis than in each of the previous two years. The percentage of respondents being paid 100% salary fell from 38% to 34%. According to the 2011 survey, hospitalists paid a combination of fixed salary and productivity earn more on average ($230,046) than colleagues collecting only a straight salary ($195,985). The highest-paid group, however, are hospitalists whose pay is based 100% on productivity ($277,045). In terms of hospitalist income, the 2011 survey uncovered other trends. For one, who you work for matters, but not as much as many believe. This year’s survey revealed only slight differences in compensation based on group ownership. According to conventional wisdom, hospitalists working for local hospitalist groups tend to be more entrepreneurial and to earn more; hospital-employed physicians earn less, in part because they trade security and higher benefits for lower salaries; and those working for national hospitalist management companies earn somewhere in between because those companies stay on top of national benchmarks. While that ranking holds up in this year’s results, the difference among what hospitalists make in those various categories was fairly small. Hospital employees earned 97% of doctors who work for local groups, for instance: $223,932 vs. $230,964. On average, the highest earners work for multispecialty or primary care groups. Mr. Buser points to another factor associated with increased compensation: “What’s going to keep the pressure on the market,” he says, “is the expanding role of hospitalists.” In some hospitals, he adds, hospitalists admit as many as 85% of all non-OB and non-pediatric patients. That bigger role translates into higher income: Hospitalists who cared for nearly 50% of their hospital’s medical admissions reported a mean compensation of $225,981. That’s almost 9% more than hospitalists responsible for a smaller percentage of their hospital’s medical admissions. Survey results also reveal that the more years doctors work as hospitalists, the more they earn. Rookies (those with two or fewer years under their belt) reported a mean compensation of just over $200,000, about 20% less than hospitalists with more than 10 years of experience. As for hospitalists earning more than $300,000, their mean number of years of experience was 8.5, compared to 7.5 for those earning $250,000-$299,000 and 6.5 for those making $200,000-$249,000. More years spent in a job also translated to higher compensation, although not as dramatically as years spent in the specialty. Hospitalists in their current jobs for less than two years reported grossing $211,493, compared to $234,807 for those with more than 10 years in their current job. One of the biggest factors behind compensation growth is the ongoing imbalance in the supply-and-demand equation. Some of hospital medicine’s biggest earners are taking advantage of that supply-demand mismatch by opting to moonlight and work extra shifts on their days off. Survey results indicate that nearly 21% of hospitalists who reported earning more than $300,000 worked at least some locum shifts, compared to only 16% of hospitalists who earned $250,000-$299,000 and 10% of those earning $200,000-$249,000. More than 80% of hospitalists who reported working some locum shifts say they did so on top of a full-time hospitalist job. And not surprisingly, survey results indicate that productivity is the key to higher compensation. 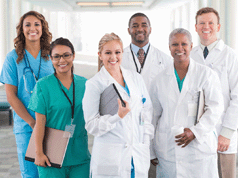 Hospitalists who earn more tend to work more. How much more? The highest earners ” those making $300,000-plus “saw about two more patients per daytime shift than lower-paid colleagues, worked about two more shifts each month, and worked more hours per month. Physicians earning more than $300,000 reported working a mean of 17.84 shifts per month and 201 hours per month. Compare that to the 15.5 shifts and 175 hours per month reported by those earning between $200,000 and $300,000. “Pay is absolutely tracking how many days and nights doctors work, and how much work they do on a shift,” Dr. Bessler says. The bottom line, he adds, is that hospitalists trying to judge if they are being underpaid can’t look just at total compensation. The direct relationship between work and pay explains many of the regional variations in mean gross compensation. Not only did hospitalists in the Southwest earn more than colleagues elsewhere (a mean total compensation of $240,972), but their 7.52% one-year pay jump was higher than average. Hospitalists in the Northeast, on the other hand, reported the lowest average gross compensation ($196,071) and a lower-than-average one-year pay hike (4.9%.) Meanwhile, hospitalists in the South reported the highest one-year increase (11.96%) with a mean compensation of $234,558. Hospitalists in the Midwest, with a mean compensation of $219,032, saw an 8.68% one-year increase. With the most pronounced one-year jump in pay, the South is also the part of the country where hospitalists traditionally have worked the hardest, as measured by fee-for-service RVUs. This year seems to be no different. On average, hospitalists in the South this year reported seeing two more patients each shift than hospitalists in the Southwest and Midwest, 1.5 more than doctors in the Northeast, and 2.5 more than those in the Pacific region. Hospitalists in the South and Southwest also reported working an average of 16 to 17 shifts a month. In the Northeast and Midwest, the mean number of shifts worked each month was 15; in the Pacific region, it was 14. In central South Carolina, Brian W. Kendall, MD, is medical director of hospitalist services for the Regional Medical Center of Orangeburg and Calhoun Counties. He attributes what he calls “ridiculously high volumes and corresponding high compensation” for hospitalists throughout the South in part to the fact that the hospitalist movement there is at an earlier stage of development than in many other parts of the country. Southern hospitals, he says, rarely know how to judge hospitalists’ value by any other factor than productivity. At the same time, administrators are under a lot of pressure to not hire additional physicians. That means that hospitalist “program directors are being asked to see more patients with existing staff,” Dr. Kendall says. “By the same token, most administrators understand that because of the supply-and-demand situation with hospitalists, they can’t cut salaries. Hospitalists are generally very mobile, and can easily vote with their feet if compensation is reduced.” The result, Dr. Kendall notes, is higher productivity per hospitalist. At the same time, the fact that compensation growth in the Pacific region was the lowest in the country “4.31% “is likely due to a leveling off in productivity in a part of the country where hospitalists have been well-established for many years. After a certain point, he says, “a physician simply can’t work any harder or any faster.” In Southern California, he says, productivity per hospitalist “has been plateauing for the last few years” “following a number of years of “jumping in leaps and bounds” “to about 16 patients a day on average for a 12hour shift in a seven-on/seven-off schedule. In return, he says, hospitalists want to hear “that after about four or five years in, they will be getting about $250,000.”Those pulling even more shifts, Dr. Chandler adds, expect to earn more. As chief medical officer for Clinical Colleagues, a national consulting firm that works with smaller hospitals to set up hospitalist programs, Dr. Kapoor says he sees hospitalist contracts in several parts of the country that guarantee a base salary in the mid-$200,000s, with an RVU and quality bonus potential ranging from $50,000 to $80,000 a year. But in return, hospitalists are expected to produce, particularly on readmission rates and core measures, both of which could be costly to hospitals as health care reform kicks in. While many analysts are convinced that hospitalist compensation will continue to rise, others aren’t so sure. “Hospitals can’t increase the amount of financial support they provide forever,” says John Nelson, MD, director of the hospitalist program at Overlake Hospital Medical Center in Bellevue, Wash., and partner with Nelson Flores Hospital Medicine Consultants, speaking of hospitalist subsidies. When he first came to Overlake, Dr. Nelson explains, the hospital provided support for only a handful of physicians. Economic conditions that could exert downward pressure against the forces pushing incomes higher include a tough economy and health reform’s goal to hold down costs. And hospitalists should expect new challenges from subspecialists looking for ways to cope with income cutbacks. Consultants say that they are already seeing markets where subspecialists with shrinking incomes are pushing back against hospitalists’ stronghold in hospitals. Specialists are asking hospital administrators to revisit the high subsidies paid to hospitalists, and some are even questioning comanagement arrangements. “When it’s easy pickings, then ‘fine, bring on the hospitalists, I don’t care,'” was the view of many subspecialists during the last decade, explains Daniel C. Cusator, MD, MBA, vice president with the Los Angeles-based national consulting firm The Camden Group. “But now, suddenly “and especially where there are effective hospitalist programs ” specialists are feeling financial pressure and questioning hospitalist programs.” That ups the ante for hospitalists to “prove their effectiveness and efficiency” going forward, Dr. Cusator says, particularly if hospitalists want to see their compensation continue to grow. Hospitalists employed by their hospital may be particularly vulnerable, says Mr. Buser. He agrees that hospital administrators are already being pressured by subspecialists like cardiologists. A LONGSTANDING TRUISM in hospital medicine is that the lowest earners tend to be hospitalists working for academic medical centers or medical schools. 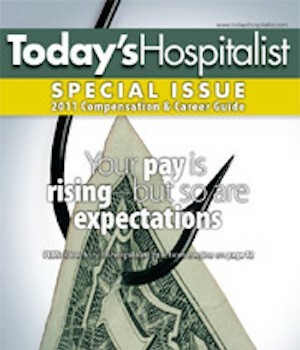 According to the 2011 Today’s Hospitalist Compensation & Career Survey, that trend continues. Academic hospitalist salaries continue to lag far behind their nonacademic peers with a mean compensation of $172,564. But the survey found this silver lining: Academic hospitalists saw their compensation rise higher “close to 10% “than that of most of their colleagues. “It is still the case that nonacademic hospitalists earn more than academic hospitalists, but I’m not surprised to see academic salaries rising,” says David O. Meltzer, MD, PhD, director of the academic hospitalist program at the University of Chicago. New restrictions on resident duty hours, which took effect this summer, are putting pressure on teaching hospitals. While Dr. Meltzer says that many academic programs are turning to nonteaching services, all hospitalists working in academic centers are expected to produce more. 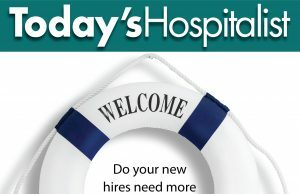 Pediatric hospitalists: Is the pay gap closing? IN THE 2011 Today’s Hospitalist Compensation & Career Survey responses, more than 100 hospitalists reported that their practices included children. Their salaries, not surprisingly, trended lower: 27% made between $100,000 and $149,000, 30% earned between $150,000 and $199,000, 23% made between $200,000 and $249,000, and 15% earned above $250,000. The survey found, however, that pediatric hospitalists’ mean compensation increased more dramatically (up 12.1%) than that of their nonpediatric colleagues. According to this year’s results, hospitalists taking care of pediatric patients earned 83.5% of what adult-only hospitalists took home. Last year, that percentage was 79%. Whether this is the beginning of a trend or an anomaly is unclear. Around the country, Mr. Buser says, many community hospitals are shutting down their money-losing pediatric units and referring sick children to pediatric hospitals. The supply-demand pressures for pediatric hospitalists to staff these busy centers may be driving up compensation. In addition, children’s hospitals are under the same pressures as other academic medical centers: They need to attract hospitalists to do the work that residents traditionally did before duty-hour restrictions took effect this year. That may also help fatten salaries for pediatric hospitalists. 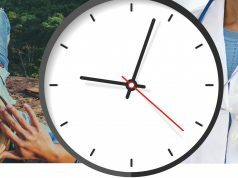 You tend to earn less if you work a traditional schedule of days and beeper call than if you work only shifts and take no call. You are likely to earn more ” as much as 20% more “if you see ICU patients. If you work at a bigger hospital, you probably earn more. You are more likely to say you are at risk of burning out if you earn less. The gender gap persists. Women reported mean earnings that were 83% of men’s.